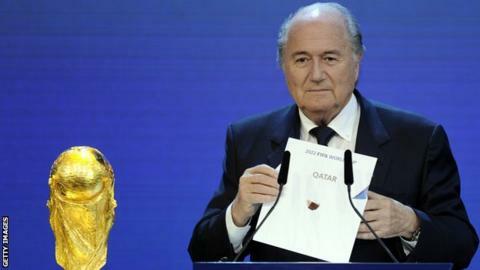 Qatar 2022 said in a statement: "We knocked on more doors and made more phone calls." Organisers of the Qatar 2022 World Cup have robustly defended its bidding process against what it claims are "baseless allegations". In a statement, Qatar 2022 says reports of impropriety around the voting for the 2018 and 2022 World Cup tournaments are a "flagrant attempt to prejudice an ongoing independent investigation". A Fifa ethics committee led by lawyer Michael Garcia is looking into the 2018 and 2022 bidding process. His recommendations are due next month. Garcia's remit includes looking into allegations that Qatari football official Mohamed Bin Hammam made payments totalling £3m to football officials in return for their support for the Qatar bid - as set out in a Sunday Times investigation. In the statement, the bid team said it had "nothing to hide" and had "co-operated in a completely open and transparent manner". The statement reveals: "Knowing that we weren't a key player in the football world, we knew we had to work harder than anyone else for our bid to succeed. We knocked on more doors, made more phone calls and took more meetings than our competitors. "But in every aspect of the 2018/2022 Fifa World Cup bidding process, we strictly adhered to Fifa's rules and regulations." However, the organiser's statement says recent media reports are "riddled with innuendo" and that Bin Hammam was neither an official nor unofficial member of the bid team. The bid team didn't deny a "relationship" with Bin Hammam - but said it often "crossed paths with influential Qatari citizens". The Sunday Times responded to the statement by saying it was "pleased they have acknowledge the relationship" and that it had further "revelations" about the Qatar bid due to be published on Sunday.